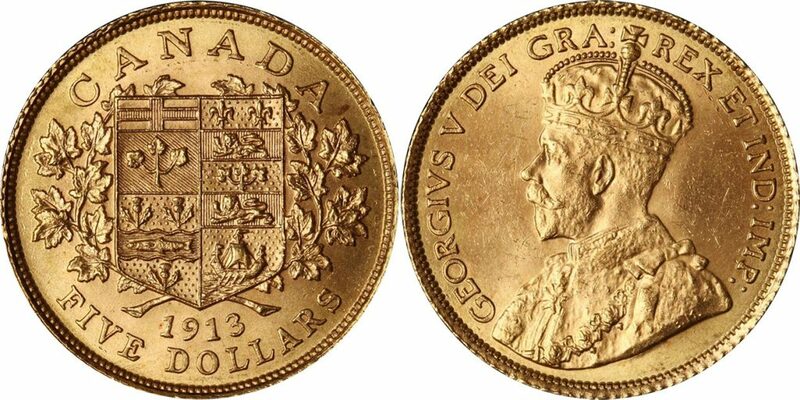 One of Canada’s most iconic yet shortly lived gold coins. Both the $5 and $10 versions were minted between 1912 and 1914 before the First World War forever altered the nations’ destiny. Although predated by the $2 Newfoundland piece (1865–1888) and Sovereign (1908–1919), the Bank of Canada $5 and $10 Gold Coin was arguably the first truly Canadian gold coin. It was unique rather than a near clone of a British design, and it was intended for use throughout the country unlike the localized Newfoundland coin. Learn about the $10 Bank of Canada Gold Coin here. No items matching the keyword phrase "bank of canada $5 gold" were found. This could be due to the keyword phrase used, or could mean your server is unable to communicate with Ebays RSS2 Server.